And.... I am finally back!!! You will see me more often from now :). Tim Ho Wan is a 1 Michelin Star Dim Sum Restaurant, originally from Hong Kong, and is now opened by Chef Mak Kwai Pui in Singapore. 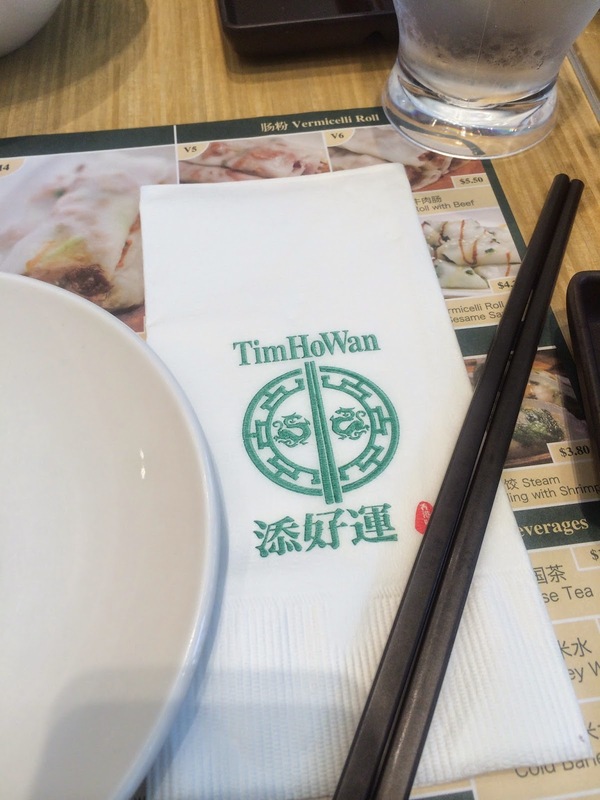 Currently, there are 4 Tim Ho Wan dim sum restaurant in Singapore. As a Cantonese, i've always like to eat Dim Sum. A very typical Cantonese. So, my boyfriend and I decided to try out this famous food that everyone has been talking about ever since it is opened in Singapore. I will be giving my honest opinion here. We didn't order much but we definitely ordered 3 of the Big 4 Heavenly Kings. We don't eat Pig Liver so we opted out that dish from our orders. The first bite was awesome. I really like the prawns in it as they are very 'Q' and fresh. However, the taste reminds me of the prawn dumpling i had in Imperial Treasure at ION Orchard. Both were equally delicious but i must say that Tim Ho Wan had make this prawn slightly more chewy and Q. One word to describe this dish - DELICIOUS. It actually made me went home to try to cook this dish out. lol. My grandma has taught me the recipe to make carrot cake. I am still trying to improve this recipe and make the best carrot cake at home. haha. Nicely pan-fried. Very soft in texture. I also like how the cheong fun is made. The skin is soft. However, i would like it to be softer. In that case, i would really rate this 10/10. This is one of the Big 4 Heavenly Kings in their menu. I am not really sure if the skin is supposed to be soft. It was slightly softer than what i thought. I picture the outer layer to be really crunchy and when i bite it, the BBQ Pork is gonna melt in my mouth. Unfortunately, that didn't happen. Would definitely prefer the skin to be more crunchy and to be served hot. Not a fan of deep fried food but this dish was well made. I really enjoyed eating this and the egg white fragrance was remarkable. A little disappointed with this dish. I was expecting more from it. The wasabi was not strong in flavour. The filling has overwhelmed the taste of the wasabi. I thought the wasabi is supposed to be the main character here?? 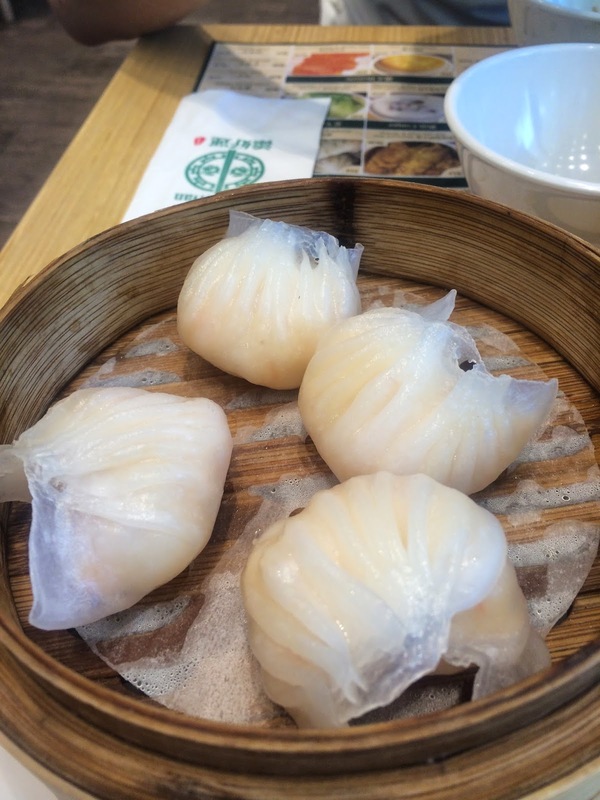 This is a very common dim sum dish in Hong Kong. I am sure i have tasted better pork rib than this. Nevertheless, pork rib was well marinated and again, melts in your mouth. I am not sure if it is just me but i don't really enjoy this eating. It is slightly sweeter than i thought, also has this strong 'coffee' smell. Above are just my honest and humble opinion. I think Tim Ho Wan is slightly overrated. It is quite difficult to maintain a superb standard when a brand is expanding. Different chefs have a different way of handling food, even if there is a book to follow. Nevertheless, Tim Ho Wan is definitely a place everyone should try at least once.